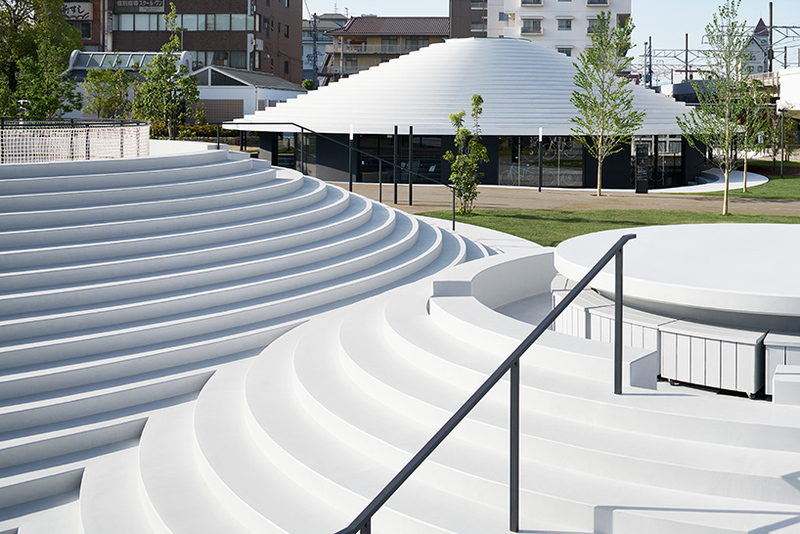 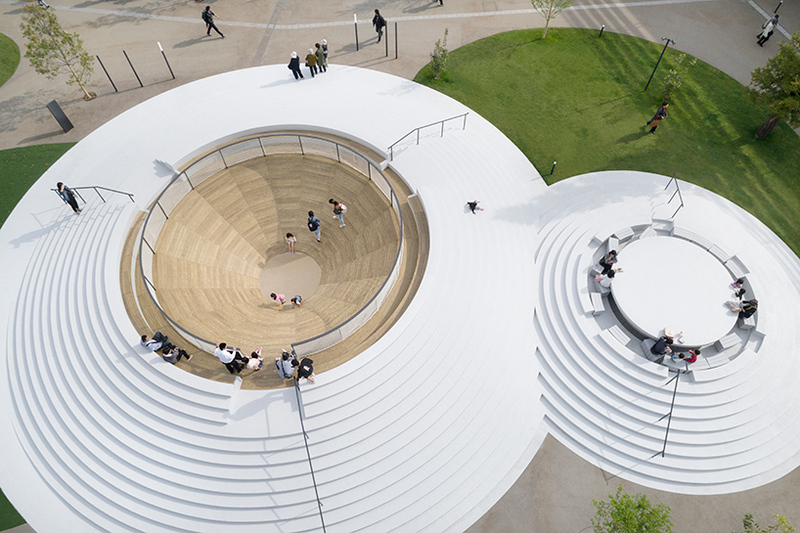 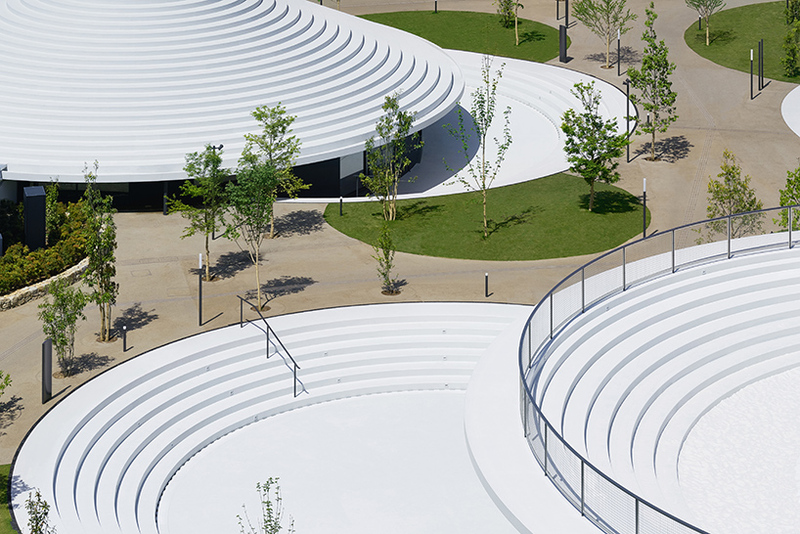 nendo has completed its first public space — a 6,000 square meter plaza named ‘CoFuFun’ that includes cafés, meeting spaces, and play areas. 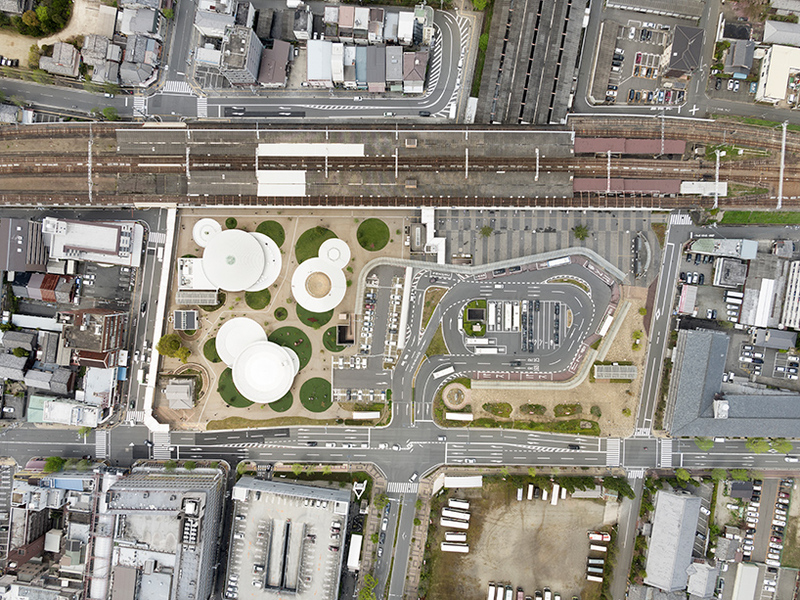 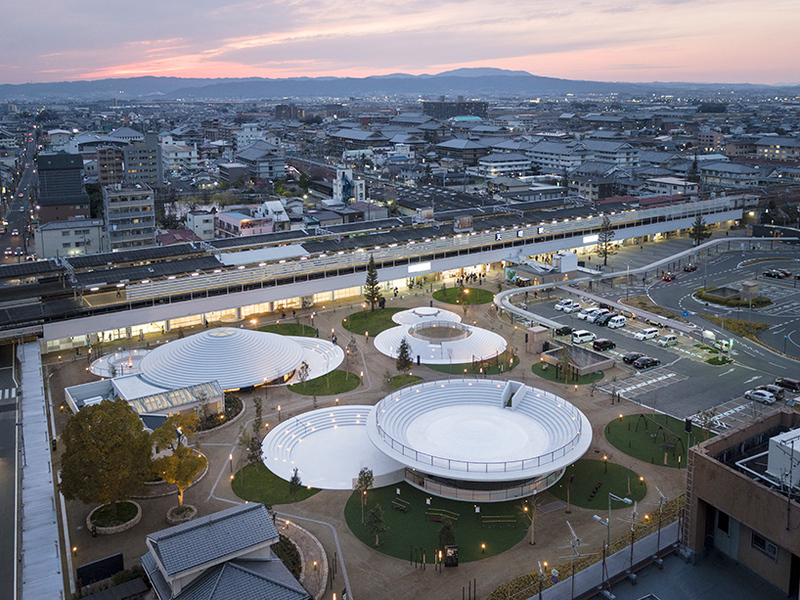 situated next to a railway station at the heart of tenri, a small city in japan’s nara prefecture, the masterplan seeks to revitalize the community for both residents and tourists, with new events space, leisure facilities, and information kiosks. 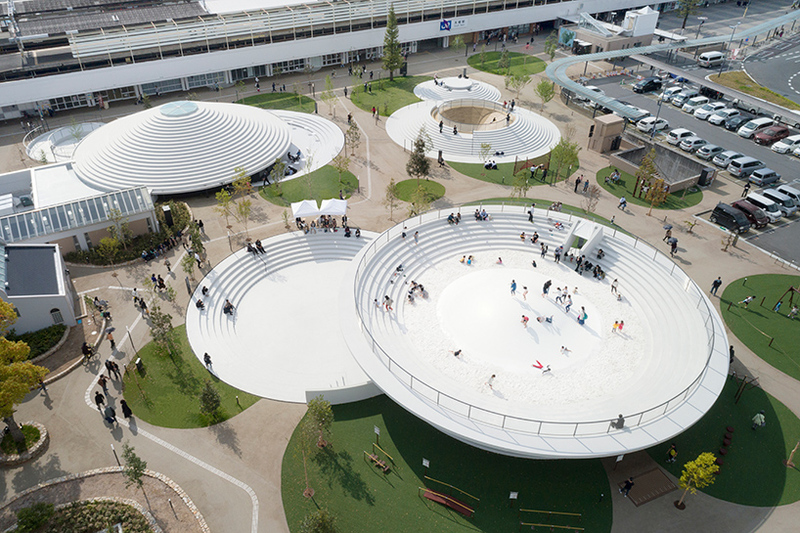 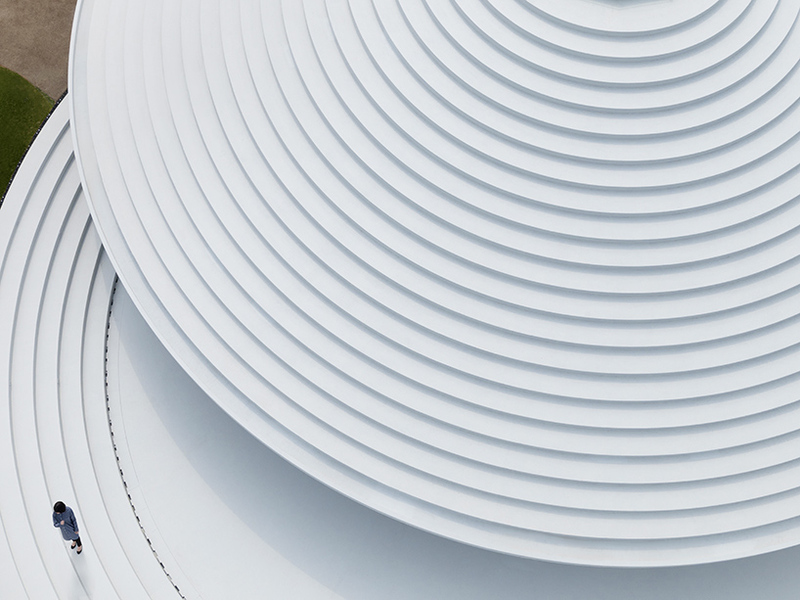 according to their function, the saucers have been arranged at four different heights in order to minimize noise levels. 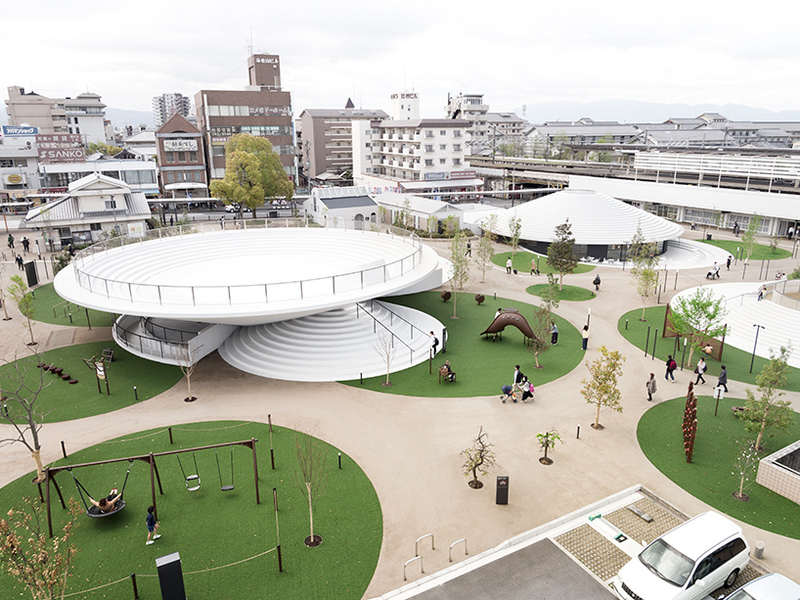 a play space for children, a lounge and study for reading, and a stage that can be used for concerts or public screenings have all been added to the meeting area. 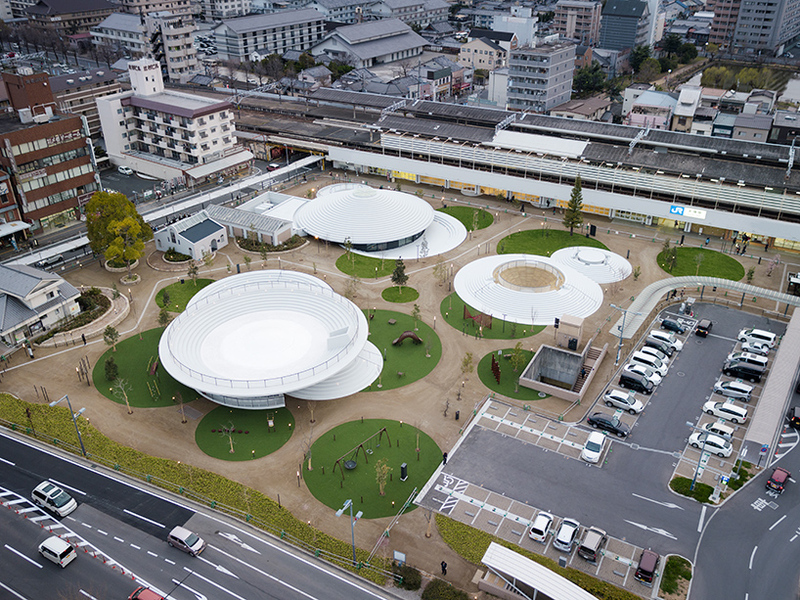 meanwhile, tenri souvenirs can be purchased at a newly designed shop. 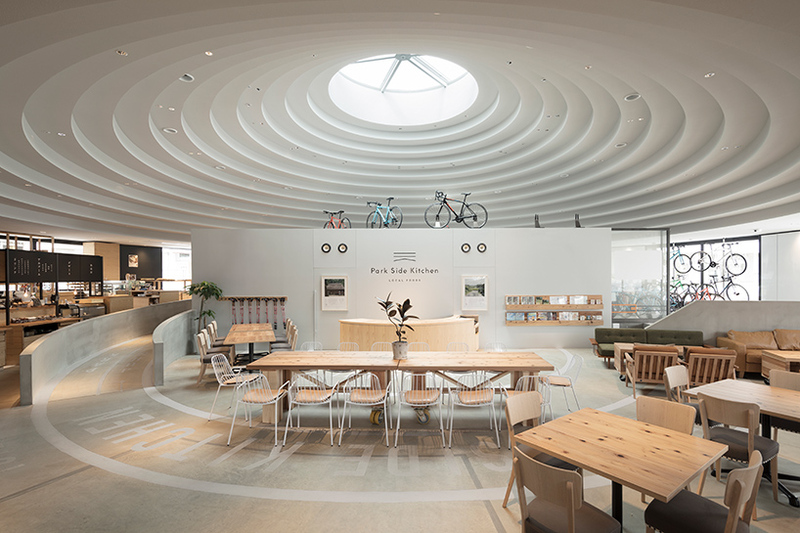 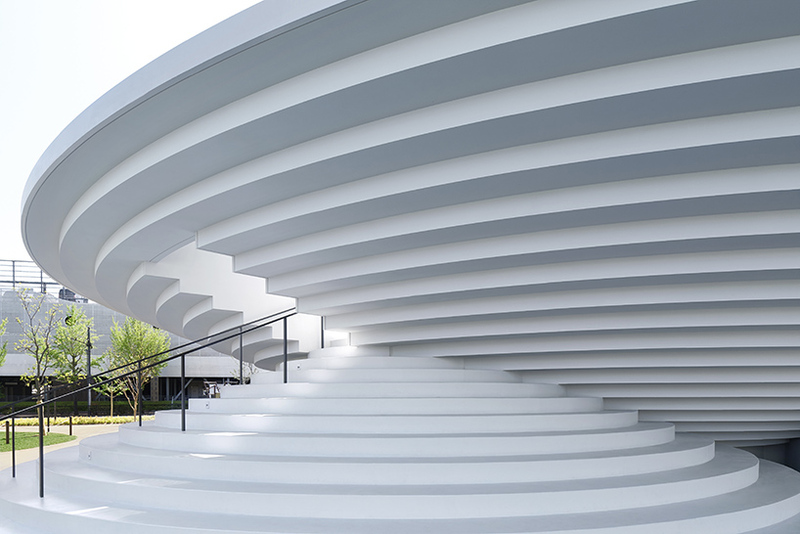 nendo was also responsible for the shop’s interiors as well as its furniture, which seeks to establish a sense of continuity with the adjacent plaza. 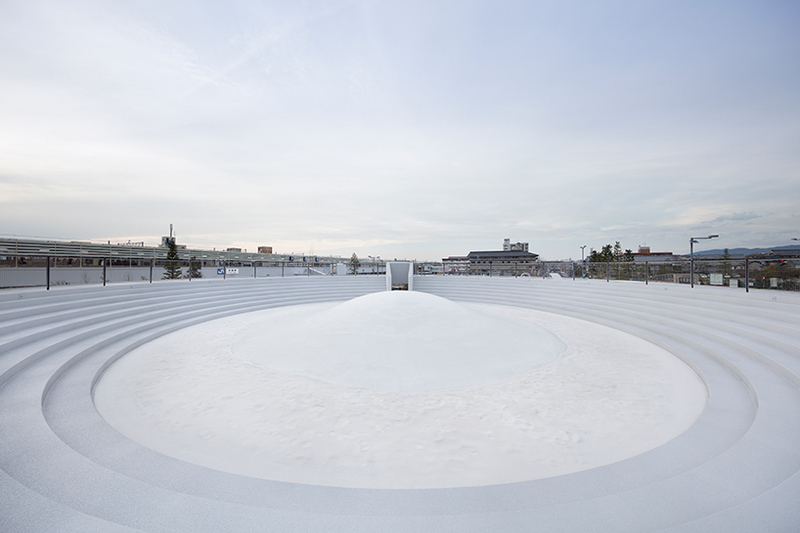 the ‘kofun’ were formed at a factory using precast concrete molds, before being pieced together on-site with the help of cranes. 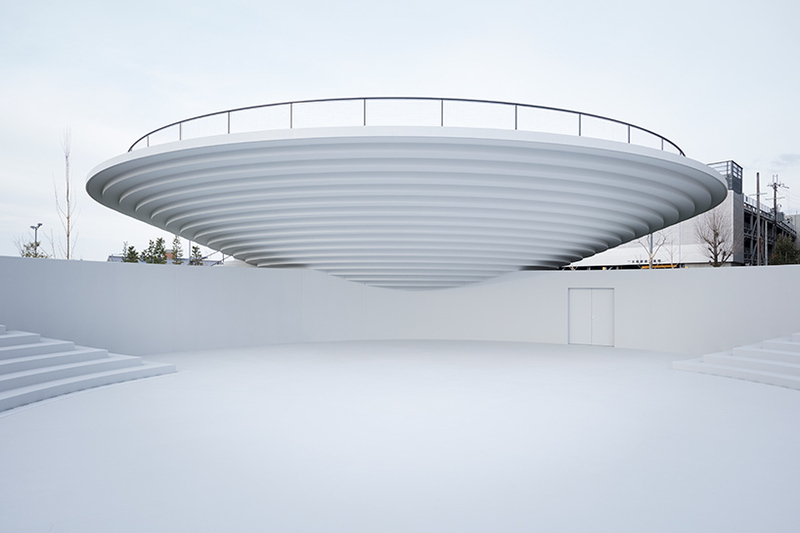 this method means that large spaces can be formed without the use of columns or beams, while the round shapes result in well-balanced structures that offer a high degree of stability. 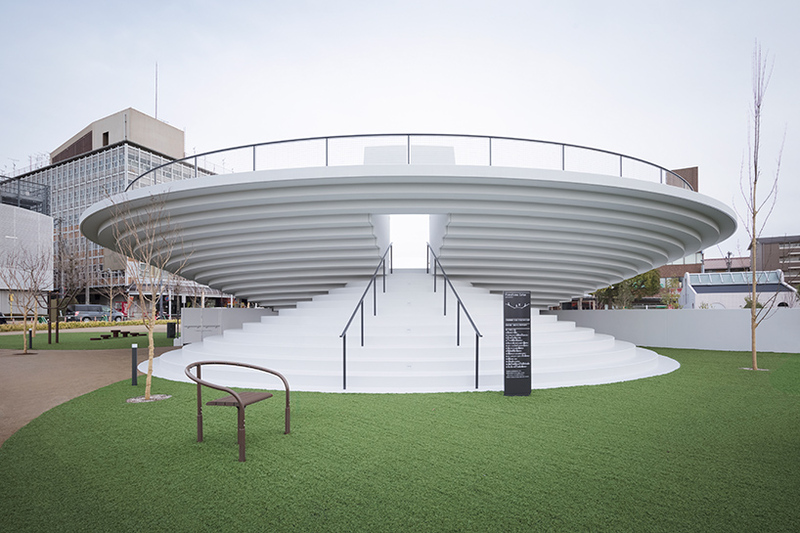 the plaza’s name, ‘CoFuFun’, combines the main design reference with the colloquial japanese expression, ‘fufun’ — meaning a happy, unconscious humming. 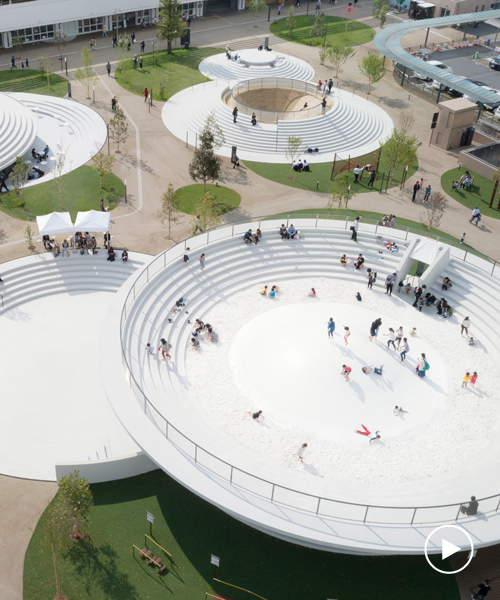 ‘the design for the plaza should offer a convivial atmosphere that unconsciously leads visitors to hum, happily, while they’re there,’ adds the design team.